Serene, luminous and neutral, white is the most popular choice for kitchen worktops. 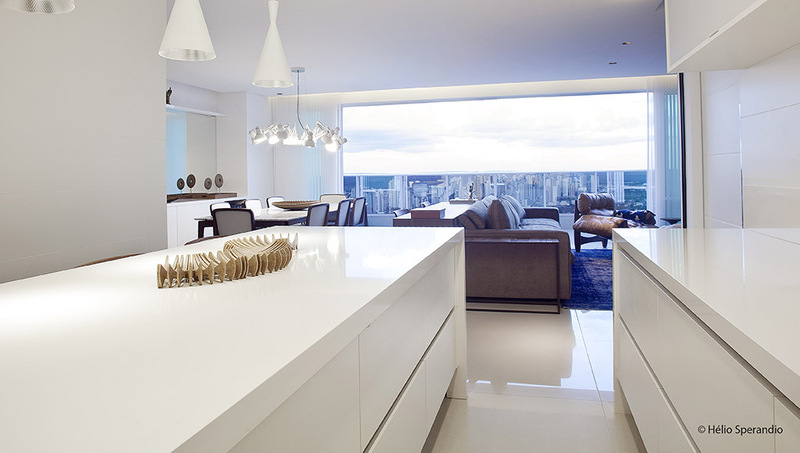 For this reason Silestone® , launches a new colour in this range: Iconic White. For kitchens, as for all areas of fashion, whites are a dependable classic for whatever your style. For minimalists, there is white on white, a fascinating integration of many various shades to create spacious and tranquil spaces. 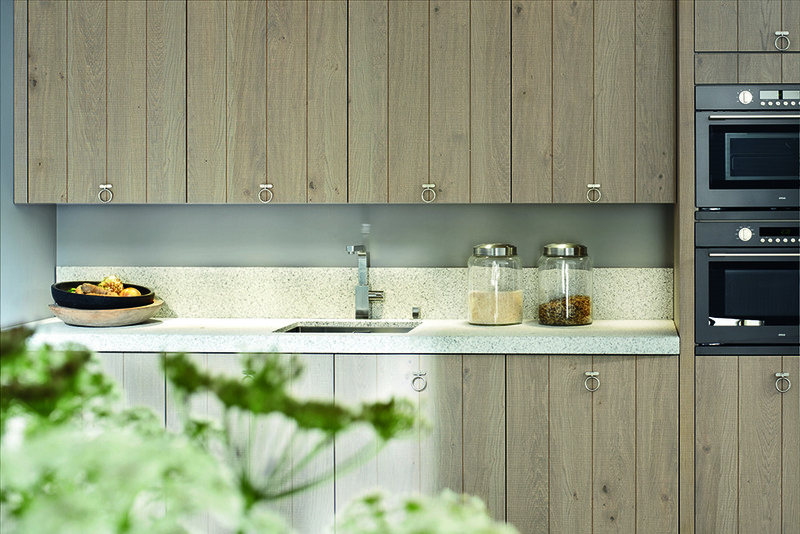 Scandinavian kitchens often use a harmonious mix between wood cabinets and white worktops. And, if you prefer an industrial style, what better way than to combine steel with a white worktop providing light and space? Due to the proven fact that white worktops are a safe bet, Silestone® has expanded its range with Iconic White, whiter even than Blanco Zeus Extreme! The newest and whitest colour, whiter than Blanco Zeus Extreme. More light and clarity to the most challenging spaces in your home. Transmits cleanliness and purity to every and each space. 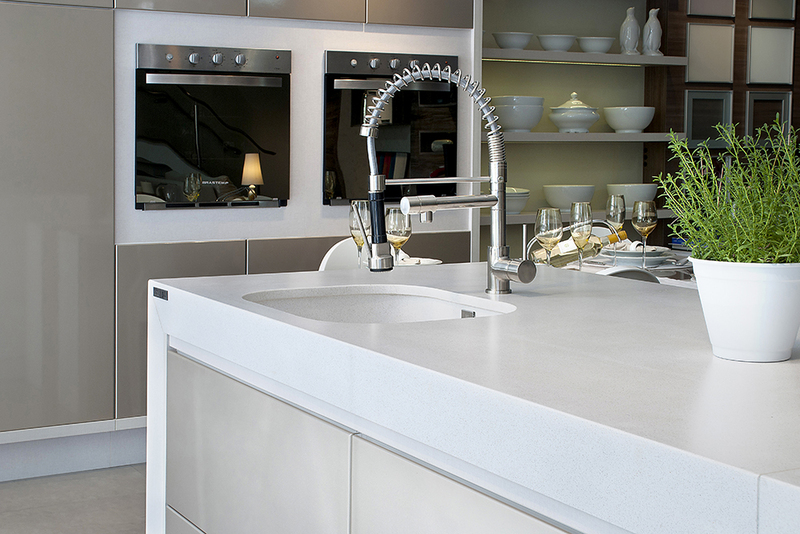 Silestone® properties remain the same and it becomes the perfect companion for your kitchen or bathroom. 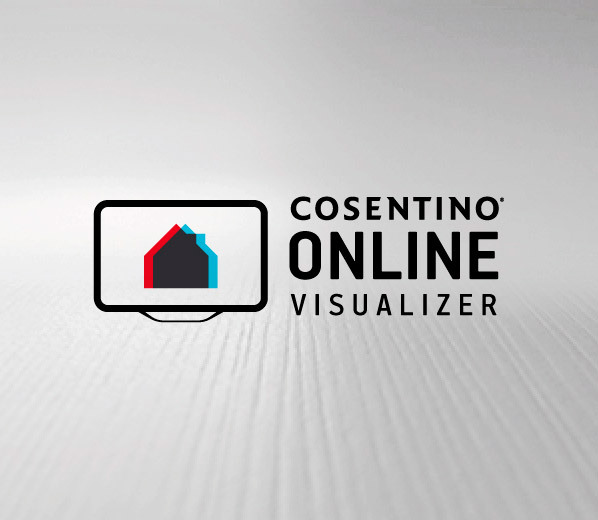 The star of the Silestone portfolio, the hero of kitchen and bathroom surfaces. It's the perfect choice for any space. Make the most of the space and provide with light in any of the three finishes available. A darker tone of white with coarse grain and brown diffusion. A very popular white colour in the market. Available in our luxurious suede texture and also in gloss polish to perfectly match furniture in soft shades and will create a strong contrast with an intense black, red or brown tone. A white of intermediate grain between Blanco Norte and Blanco Zeus Extreme. Available in polished and suede texture it is an ideal selection for modern kitchens.